Ends up using s3cmd --cf-invalidate can get expensive when you&apos;re repeatedly pushing out a static site. Adding one post touched about 200 files. And that&apos;s after I wrote a script to only re-sign changed pages. Pretty happy with how easy it is to hack #hugo, my website is now generated with it and a slightly modified mainroad theme. Only took me a day to moved the content over from #pelican. We have 4.5k followers on Mastodon. If each gave just $2, we would double our fundraising goal the day. 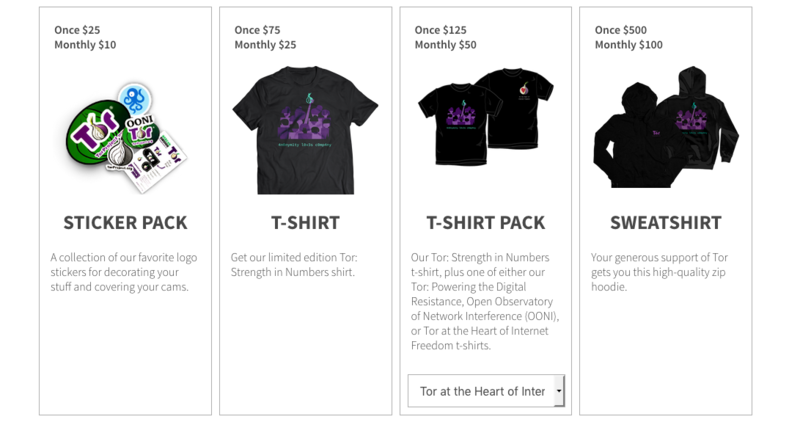 Tor is vital for resisting tracking, surveillance, and censorship online. If we get just a few thousand more dollars today, we'll even release a surprise. We are just $3,588 away from raising $100,000 - that's $200k with Mozilla's match! Finally got unbound on #FreeBSD working with DNS over TLS. It seems the commands have changed since 1.5.10 -- "ssl-upstream: yes" was the right variation to use.